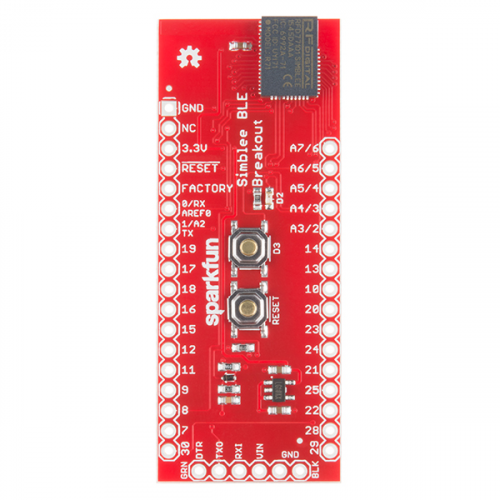 The SparkFun Simblee BLE Breakout board is a programmable board that allows you to add mobile app functionality via Bluetooth Low Energy (BLE, or Bluetooth 4.0) to your embedded projects. Unlike other BLE solutions, the Simblee requires no specialized app development skills to realize the phone-side interface: all the necessary coding is done in the Arduino environment and then uploaded to a browser app on the phone. The Simblee RFD77101 module, equipped to this board, is intended to make embedded devices using Bluetooth Low Energy connections easier for everyone: hardware hackers, app developers, students, makers, engineers, and anyone else who wants to leverage their smartphone via BLE. For more information on using the Simblee to create your own applications for embedded project, visit our Simblee Concepts tutorial found in the Documents section below. 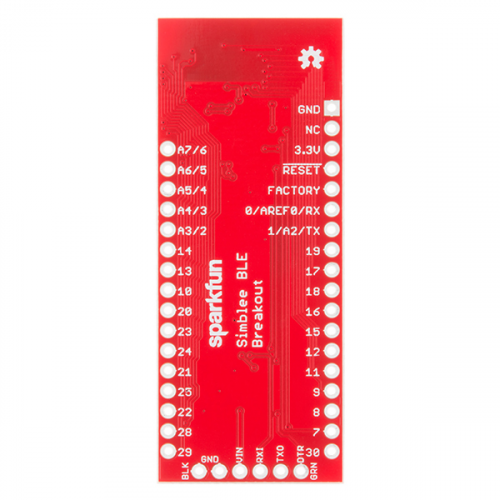 With the Sparkfun Simblee BLE Breakout you gain access to all the Simblee pins (with the module end compatible with RFDuino/Simblee shields! ), as well as a reset button, an LED and a user accessible button. This is a great development board to stick in a breadboard and start playing with. It is also small enough to fit inside many projects. The voltage regulator is extremely low current, so your low power applications won't suffer too much for it being included. 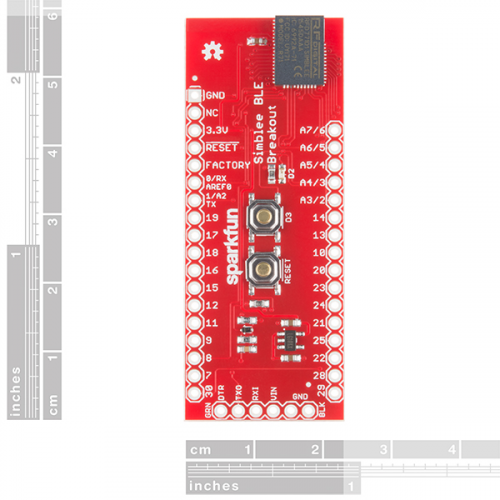 While you can use the RFduino Programmer Board with this Breakout, we've provided a standard 6-pin FTDI breakout programming header as well. This allows the profile of the board to remain low unless necessary. 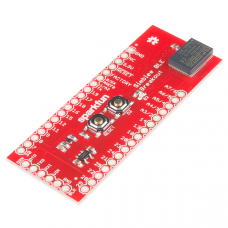 We recommend using the either the LilyPad FTDI Basic or the 5V FTDI Basic for programming the Simblee Breakout. Note: Please do not use the 3.3V FTDI Basic with this board, as it may not be able to source enough current from the 3.3V rail. This is the newest revision of our FTDI Basic. We now use a SMD 6-pin header on the bottom, which makes it smaller and more compact. Functionality has remained the same. .. 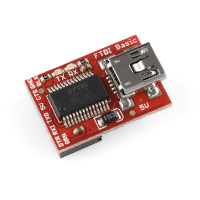 The FT232R is a USB to serial UART interface A low-cost way to add USB capability to For Arduino or other microcontrollers. 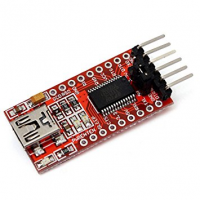 Use this to give your own breadboard For Arduino USB ..